When this novel's unnamed narrator meets the elusive but exciting Richard (an envelope salesman with a nice layman's line in Zen philosophies), he offers her a friendly escape from her dreary domestic life. Burdened by her husband's ongoing negotiations with his angry ex-wife, the strains of looking after two stepchildren, and the lingering ghost of her own past betrayals, she finds that the life of a "second marryer" leaves much to be desired. As their friendship develops, so grows the shadow cast over her marriage, and when they make a late, illicit bay crossing on a ferryboat, the story gathers momentum under California's Mount Tamalpais. 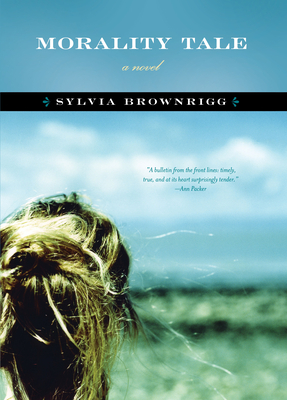 There, in the fabled Golden State, Sylvia Brownrigg shows how even a layman's Zen can lead to some important revelations about the need to look forward, not back. Bristling with honesty and wit, Morality Tale explores the triangular complications that can befall a modern marriage and the tragicomic forces that surround them.